On Saturday, March 6, in Sillers Hall, the Department of Performing Arts Presents an evening of 10 short plays written, rehearsed, and performed within 24 hours by more than 80 St. Margaret’s faculty and students. Come support our playwrights and witness the creative extravaganza that is the 24-Hour Play Festival! The performances will begin at 7 p.m.
Special Presentation: Hear the TARTANS TALK! I had the opportunity to be a part of Harvard Model Congress in San Francisco late last month, with my fellow AP Government classmates. 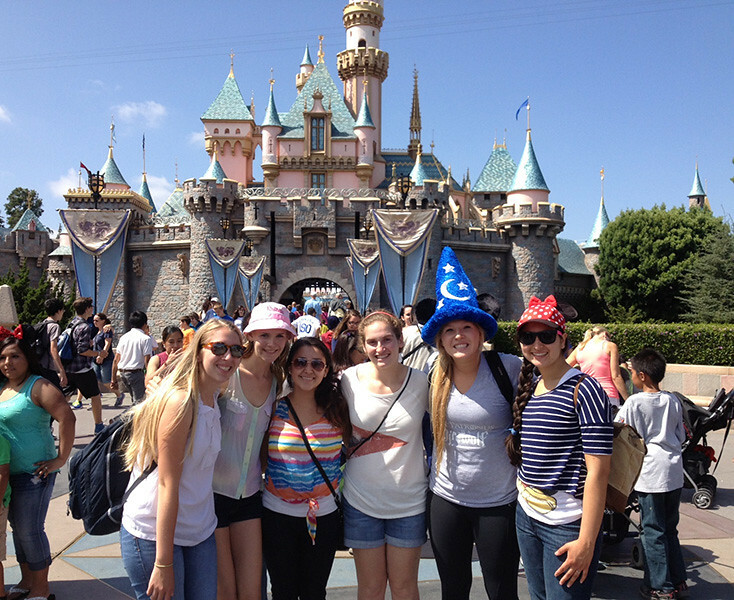 Last week, seven St. Margaret’s seniors attended the 10th annual Harvard Model Congress simulation in San Francisco. Harvard Model Congress San Francisco has long carried a proud tradition of teaching youths about the intricacies of American government through hands-on simulations and debates. Beginning last September with the student’s request for roles, these seven students worked hard to prepare themselves for these four days of intense government simulation, in which they excelled. Upper School History teacher Rocky Parker was honored for more than a Decade of Excellence in Teaching by the organization California Troops to Teachers. For the 3-D Art Show held on December 4, my clay project was on display in the Clay Lab alongside other works from Middle School and Upper School students. This morning, tennis great Lindsay Davenport and San Juan Capistrano Mayor the Honorable Dr. Londres Uso joined the St. Margaret’s community in congratulating the girls tennis team on their back-to-back CIF Championships, 2008 and 2009, and their two consecutive undefeated seasons. As the Pasternack Field House filled with excited community members, the student body gathered in the bleachers, with the tennis team and alumni tennis players seated near the podium in a place of honor. At St. Margaret’s, the transition from Middle to Upper School is an important one, in which students gain increased opportunities and privileges and personal responsibilities as high school students poised for future success. This week, grade 8 students had the opportunity to step into the life of an Upper School student and experience for themselves the life of an upper classman and the new school that awaits them on the other side of campus. On Saturday, December 5, the Tartan Football team will face Bishop Union High School in Bishop, at 7 p.m., in a CIF Semifinal game. For more information about the game and directions to the venue in Bishop, click here. Fall Sports Teams and Coaches Excel! In an unprecedented achievement, all St. Margaret’s Fall varsity sports that compete in the Academy League won first place in the league. These championships are no mystery—our athletes are motivated and skilled, with dedicated coaches, five of whom won Coach of the Year in an Academy League competition in which they are nominated and selected by a group of their peers. The five Coaches of the Year are Coach Dylan Wade, Coach Rob Lakeman, Coach Rocky Parker, Coach Susie Maga and Coach Rick Trager.